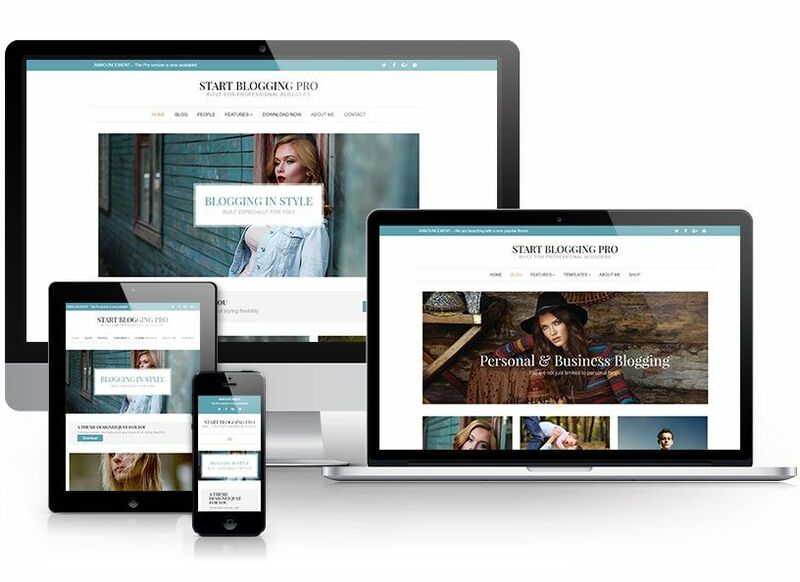 Start Blogging Pro is a professional theme that is designed specifically for personal and business bloggers. The idea was to create a theme that is simplistic to allow focus on what is really important – creating amazing content while giving you enough features and options to do a little more than just straight blogging. I believe I achieved that goal and know you won’t be disappointed when you start to set up your new site using Start Blogging Pro. I know you want to jump right in and purchase this theme, but let’s take a look at a few more key features of Start Blogging Pro, along with a few screenshots to give you a visual of what you can expect. Start Blogging is streamlined, so you do not have to worry about getting a theme that is bloated with tons of stylesheets and scripts that bog down your website. Do you have or plan on adding a blog based storefront? You get a theme that is WooCommerce ready, meaning that the layout structure is ready for WooCommerce as it requires special containers to display properly. Here are several key features of the Start Blogging Pro WordPress theme, but not limited to what you see! You get up to 6 blog styled layouts to give you a ton of options to display your posts. Not only can this theme be used as a blog, but you can also setup shop with WooCommerce compatibility. Based on the Twenty Seventeen theme, we've added the ability to change the height of your splash photo. Not only do you get 22 sidebar positions, but you also get dynamic width that self-adjusts. In addition to a full width page layout, you also get several boxed layout options included. If you don't like the colours, we gave you the option to use the preset colours or go custom with unlimited options. Perfect for the boxed layout, you can add a beautiful photo page background to your website. This theme includes a custom front page template with sections like image boxes, a mini-blog, and more. Just in case someone gets to a page that gives a 404 error, we've made a special template for these instances!